Do you know what is the hub of Outlook data? Yes, you are right, Outlook PST file is the source of all Outlook data storage. Emails, attachments, contacts, calendar entries, notes, tasks, journals and lot more are stored in PST files and this data is protected by organizations by taking proper security measures. Many organizations safeguard crucial data in different ways such as installing firewalls, anti-virus software and encrypting PST file using password authentication. Hence, PST password is just like any other password, once applied it should be maintained and managed regularly. 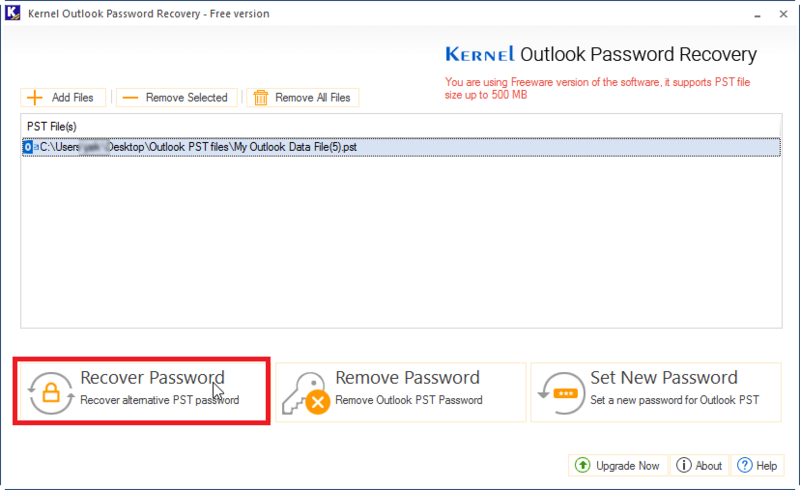 Many times, users forget or loose password of Outlook PST files. Are you facing the same difficulty and opted for every possible solution to change and recover PST password and failed? 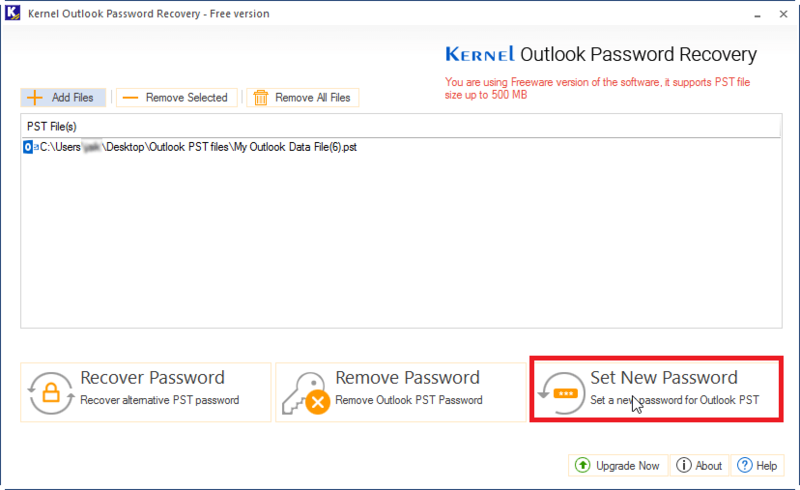 So, here we have the best solution for you that is free of cost and works efficiently to recover forgotten Outlook password. 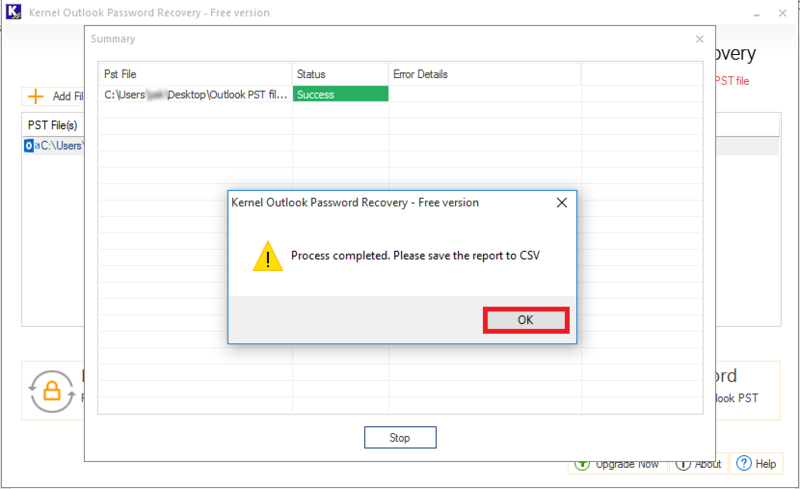 You must have already tried several tools or methods to recover Outlook password. But, due to varied reasons, your every attempt got failed. 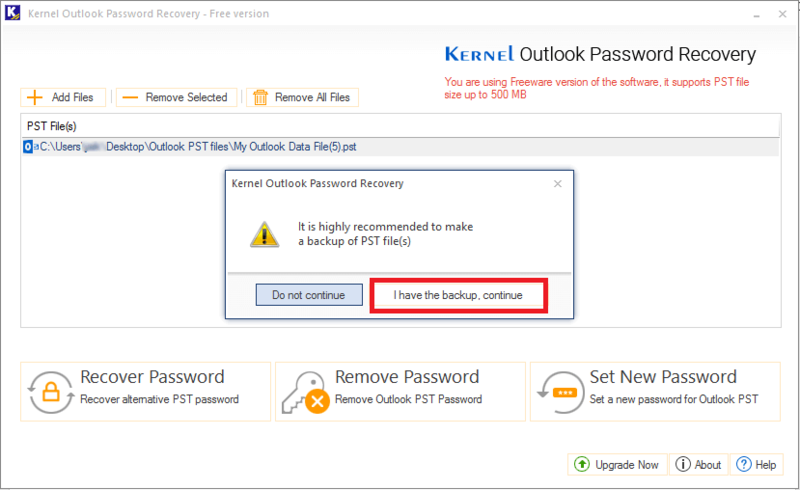 Here is the best recommended free solution for you that accurately recover PST password. 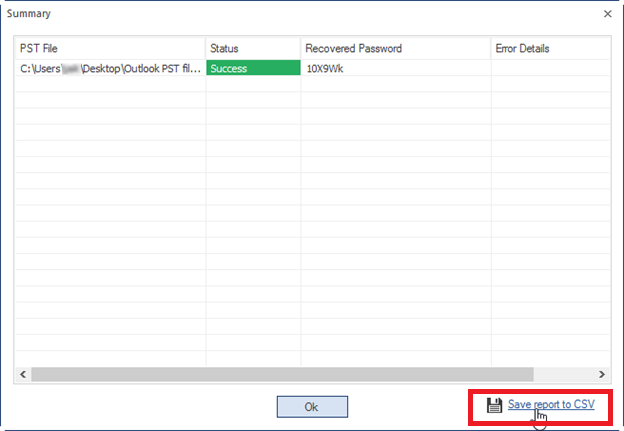 Here, we will discuss Outlook Password recovery in details with the help of the software. 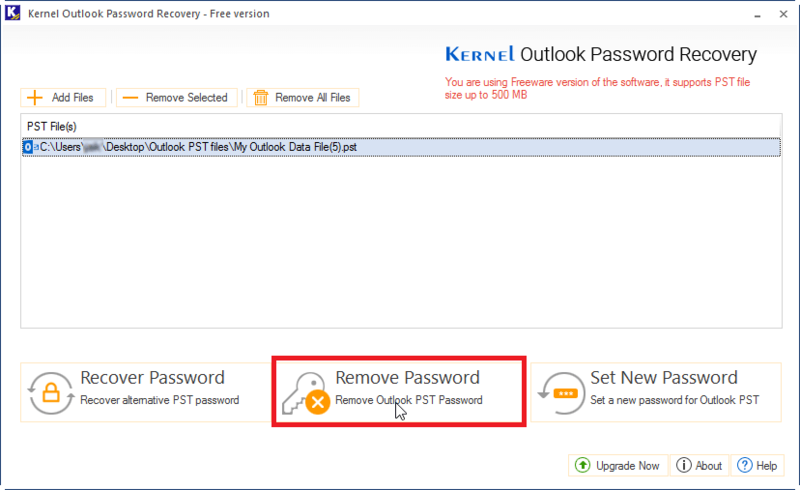 The tool can Recover, Remove and Set New Password of Outlook PST file for free. 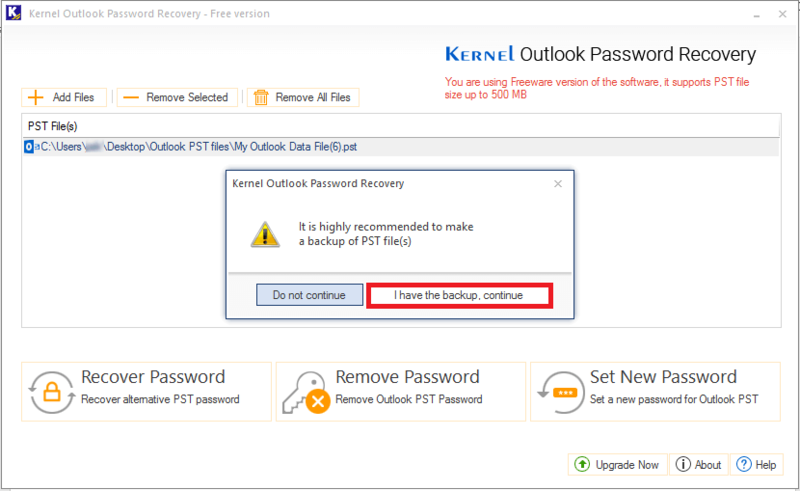 Please Note: Before performing any of the tasks, it is highly recommended to take backup of PST file for worst case scenario. 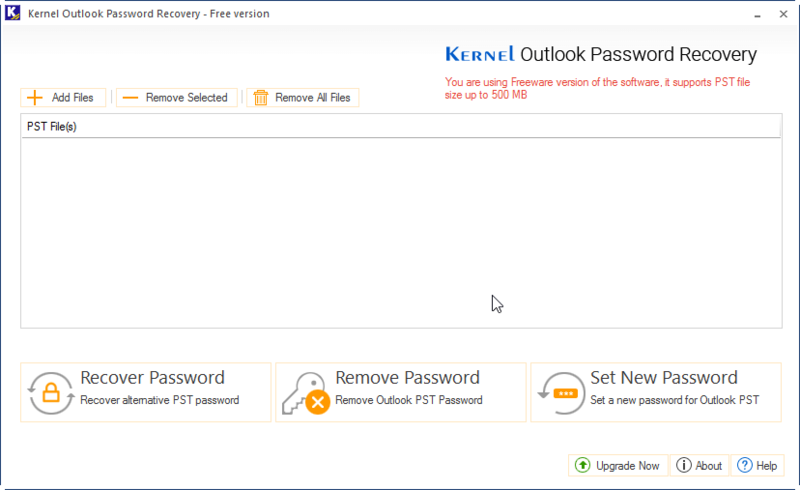 STEP 2: Click the Add Files button and select the desired PST file and choose Recover Password. 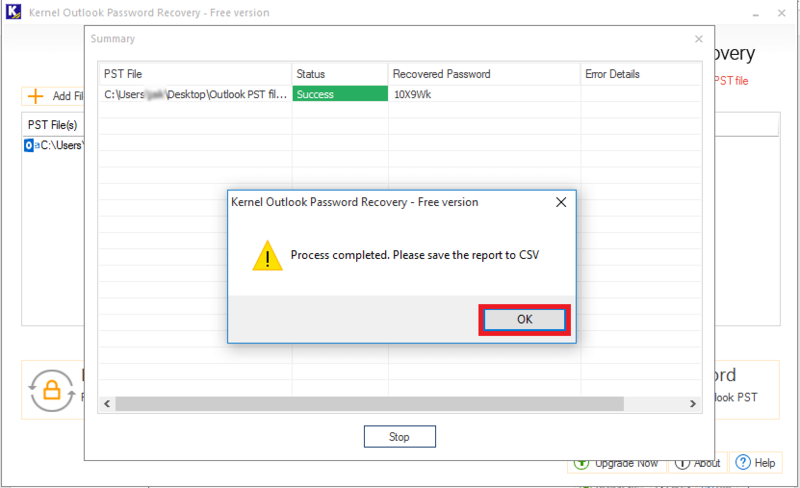 STEP 3: On successful completion, you will get the recovered password and process completion, click OK and move to the next step. Repeat the Step 1 and Step 2 of Recover Password. STEP 1: Click Remove Password button to remove the password from the PST file. STEP 2: Now, click I have the backup, continue in the dialogue box. STEP 3: Click OK in the process completion dialogue box and save the report as shown in the Password recovery process. Again, repeat STEP 1 and Step 2 of the Recover Password process. 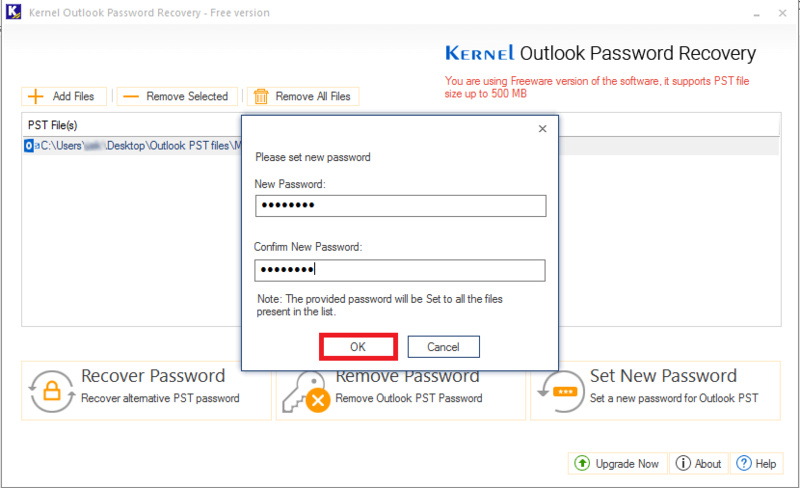 STEP 1: Click Set New Password button to set a new password for the PST file. STEP 2: Click I have the backup, continue and continue to the next step. Step 3: Now, type the desired password of choice and verify it as shown. Click OK. Step 4: On successful completion of the process, click OK and save the report in CSV format. The software is a freeware and offers to recover PST file size up to 500 MB. You can simply use the software and save your time and effort. It is the most recommended software for password recovery and gives the guaranteed outcome.